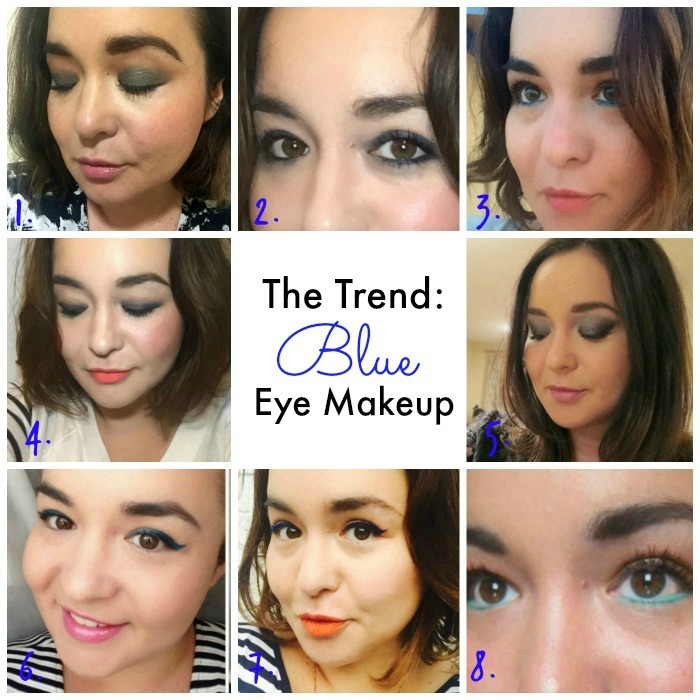 Ok, so blue eye makeup sounds a little daunting – but bear with me. It’s a massive beauty trend for spring, and it’s actually a lot more wearable than you might think. In fact, I’ve really fallen for it; here’s how I like to do blue. I tend to stay away from powder shadows, which can look a little dated. A cream or mousse formula, on the other hand, adds a touch of wet-look lustre and gleam that works really well with aquatic shades, making them seem a bit mermaidy and mesmerising. Chanel’s Illusion D’Ombres (1) are little pots of perfection and there are some fab oceanic shades in the spring collection which I showed you here; I like Lancome's Hypnose Ultra Dazzling shadow in Black Sapphire (5), too. I also enjoy blue as a feline flick: the unexpected colour makes a classic cat eye seem more modern and fresh. As you can see from these pics, I often pair this with loads of mascara, a coral or orangey lip, and stripes (to really hammer home that nautical connection!). The liners I’m wearing here are by Benefit (7) and Clarins (6); I also really rate the Rimmel Scandaleyes Waterproof kohl pencil in Bright Blue. The lower lash line is a nice way to add a bit of colour to your look. I like to wear something quite neutral on the lid, like MAC’s Cork shadow, and then add some turquoise or aqua to liven things up (3,8). Finally, I think deeper, inkier hues look fantastic smoked out around the eye and this Estee Lauder shadow stick is a real winner for me (2,4); I talked about it here. Is this a trend you’d try?